When he left the navy SEALs to become a pro wrestler, the fans knew him as &quot;Jesse, the Body.&quot;<br /><br />When he hosted his hard-hitting KFAN radio talk show, he became &quot;Jesse, the Mouth.&quot;<br /><br />And now that this body-slamming, straight-talking, charismatic hero is masterminding Minnesota's gubernatorial decisions, you'd better start calling him &quot;Jesse, the Mind.&quot;<br /><br />In <b>I Ain't Got Time to Bleed</b>, Jesse Ventura reveals the secret of his landslide electoral success&#x2014;with record voter turnout&#x2014;and maps his innovative strategies for pioneering a new era in American government. 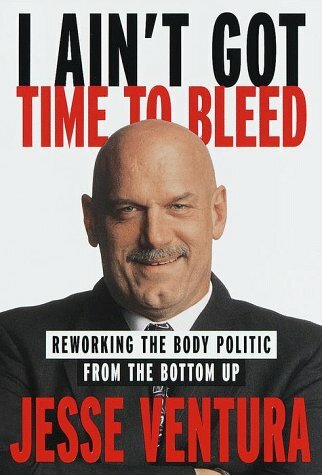 In his own inimitable words, he takes on bloated government, career politicians, and apathetic voters, and tells the wildly colorful story of his days as a navy SEAL, his nights in the pro-wrestling ring, and his experiences on radio and in films like <i>Predator</i> and <i>Batman and Robin</i> .<br /><br /><b>I Ain't Got Time to Bleed</b> is <i>Rocky</i> meets <i>Mr. Smith Goes to Washington</i>&#x2014;a book that will challenge readers' ideas of traditional government as it introduces them to one of American politics' most ferocious new heroes.